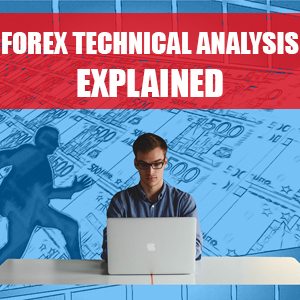 In this post I will be giving a brief introduction to forex technical analysis by explaining what exactly it is and how you can start successfully applying technical analysis to your forex trading. Whilst technical analysis can be a good thing to have in your trading arsenal, it should only be part of a much larger trading plan that incorporates other factors such as good forex trading discipline and good forex money management. I mean, you can have the best technical analysis and unicorn indicators in the world but if the afore-mentioned factors are not in place then forex trading may quickly become akin to climbing Everest with a pair of speedos on. What is Forex Technical Analysis? In a nutshell, forex technical analysis is basically using one or a combination of technical indicators on your charts with the purpose of identifying the current market direction. They are also used to try and aticipate which direction the market will move. They are not crystal balls but can certainly be super beneficial to assist in easily visualising and interpreting the current market conditions. They can give a decent indication of if the market will trend up (bullish), down (bearish) or range (dearish?!). You will find that most forex traders conduct technical analysis by placing these colourful technical indicators onto charts in their trading platform, the most popular being the freely available and available from most broker MetaTrader 4 (mt4) trading platform. When trading the forex market we are usually looking to buy if we believe the market will go up or sell if we believe the market will go down. Unless of course the trader has sadistic tendencies and wants to deliberately go against the market. By placing a technical indicator on the chart it may display a nice trend line (moving average) showing the direction the market is going or it may be in the form of a colour coded bar chart with levels from 0-100. Usually, anything less then 50 suggesting the market is bearish (down) and anything greater than 50 assuming it is bullish (up). Sometimes when extreme levels are reached (such as < 10 or > 90 in my above example) it can be a sign of a potential turning point in the market. These are just a few examples of the many technical analysis indicators available to forex traders. Now, technical indicators are not the holy grail and should be taken with a pinch of salt in my opinion but they can certainly be beneficial when combined with further fundamental, sentiment and price action analysis. 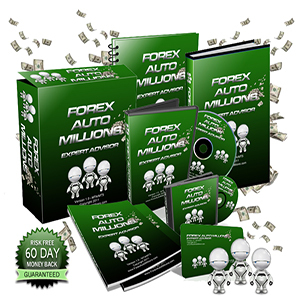 They can also help forex traders who like to see things displayed clearly in a visual manner. Of course, your forex money management should always be on point to! How do I use Forex Technical Analysis in my forex trading? You can use forex technical analysis to help with your trading decisions. You may have technical indicators on your charts that aim to show you the current direction the market is trending in, such as moving average indicators. You may also have indicators that identify overbought or oversold markets to time your entry into the trend such as the CCI or RSI. I don’t personally blindly take technical indicator signals but they can work well when multiple indicators are combined and a solid entry/exit strategy based on them is in place. They don’t usually account for factors like the news and sentiment so be aware of this. Try not to make your charts look like a Christmas tree as this can be very distracting. I have seen traders charts that look like the candlesticks are raving in a club! I am digressing again, basically what you need to know it that technical analysis is using technical indicators on your charts to help determine if you will buy or sell or sit on your hands. What Forex Technical Analysis indicators are there? There are almost an infinite amount of technical analysis indicators available online that would take a lifetime to get through. That being said, I prefer the default mt4 technical indicators and think they do a just fine job. I wouldn’t recommend looking for the holy grail technical indicator because it does not exist (trust me, I’ve tried). Instead, master some of the basic mt4 technical indicators such as the moving average, Bollinger bands, MACD, RSI and CCI. You will find that often indicators will tell you the same thing so there really is no need to over do it. I find that default indicator settings work best and who am I to argue with John Bollinger or some other developer who spent years working on a technical indicator. They have been around for years and are used by millions so I do not see much point in reinvesting the wheel. So, now you have your new fancy indicators on your charts, trade when they tell you to right? Wrong! I personally would not blindly trade mt4 indicators, I may use them as a guide or confirmation of taking / not-taking a trade but I like to have additional analysis included. I tend to find that the higher timeframe such as the 1-hour charts and above have more reliable technical analysis primarily because these larger timeframes help filter out some of the noise from the lower timeframes. The sheer amount of false technical indicator signals on 1-minute charts can be insane. What platform can I use to conduct my Forex Technical Analysis? 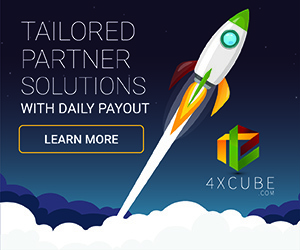 Well, that depends on your chosen forex broker although I would say start with MetaTrader 4 (mt4) due to the fact it is the most widely used trading platform and has a very small learning curve. Mt4 is easy to use, very user friendly and has most of the “important” technical forex indicators built in. 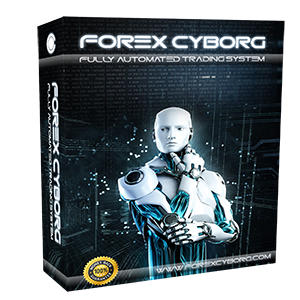 You will also find that nearly all commercial forex trading systems and forex robots are built for the mt4 trading platform. If you do decide to search online for some custom made technical indicators then they are more than likely going to have also been developed for mt4. What are the advantages of Forex Technical Analysis? The main advantages of using technical analysis is that it can help show you in an easy to interpret visual way which direction the market is currently trending or if the market is ranging. The indicators for technical analysis can also help you to decide in which direction your next trade will be. If you are a trend trader, they could keep you out of ranging markets or if you are a range trader, they could help you pick tops and bottoms within a range. Just make sure you practice using the indicators a lot and use a technical analysis that suites your trading style and fits within your trading plan. E.g are you long term trend trading or short-term scalper. You may find it beneficial to use technical indicators on multiple timeframes as what may look like a huge uptrend on the 1-hour chart could be a minor pullback on a daily chart. Confirming signals across multiple timeframes is something I would always prefer do. What are the disadvantages of Forex Technical Analysis? The main disadvantage of technical indicators are that they cannot predict the future. They simply show you where the market is now. An overbought CCI indicator does not mean 100% the market will move down. Yes, they can perhaps give a very minor edge but I see them simply as visualization tools to display what the chart is already telling me in a fancy way. In saying that, there is an argument for the technical indicators having a self-fulfilling prophecy if so many forex traders are using them – Fibonacci or pivots anyone?! I also find on occasion technical indicators can generate conflicting information especially across multiple timeframes. Whilst many will also “repaint” which basically means they will tell you one thing before the current bar closes then tell you something else afterwards. As a metaphor, I believe technical indicators are best used as a guide, the rest is down to further methods of analysis such as fundamental, price action, and sentiment analysis. 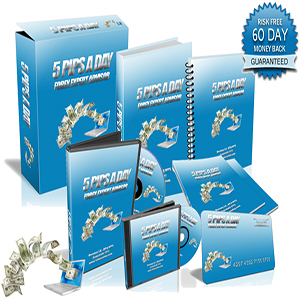 Also imprortant is good money management and superior forex trading discipline. Forex Technical Analysis vs Other Analysis: Which is best and why? The best form of trade analysis in my opinion is a combination of technical, fundamental, price action and sentiment analysis. Each analysis used is another tool in your arsenal to becoming a successful trader. I mean the more tools you have for the job, the more chance you have of getting it done right! Next Next post: What is Forex Fundamental Analysis and how to apply it to forex trading?